Tina. Los Angeles Zoo 11/2010. Photo: ï¿½ Los Angeles Zoo on Facebook. From 2000 to 2003, Tina and Jewel were presented on the Cole Brothers Circus by Adam Hill. In 2004 and 2005 the Cole Brothers leased the girls to Adam and had no elephants of their own. During this time the two act was presented on the Walker Brothers Circus, the Cindy Migley Circus and different fairs. Will Davenport acquried the elephants in January 2006, where he stayed for the spring and summer tour and presented the elephants on Cole, until spring 2007 they performed on the L.E. Barnes & Bailey Circus. For the 2008 tour, Will Davenport presented his three elephants Tina, Jewel & Queenie on Circus Vasquez. 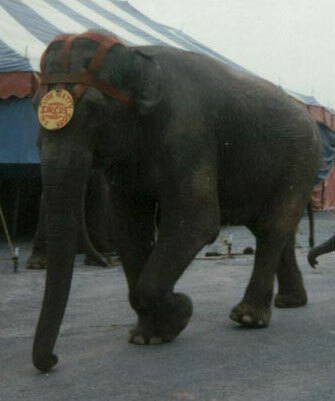 In the 2009 season, Will Davenport presented elephants on the main unit of the Hamid Circus, owned by himself. He displayed a three act with Boo, Tina & Jewel. In August 2009, Tina and Jewel were confiscated from Will Davenport by the United States Department of Agriculture. It was the third elephant confiscation by the federal government, following elephants taken from John Cuneo and Lance Ramos. They were transferred to the San Diego Zoo and made the transition from free to protected contact, following the management policies of the zoo. 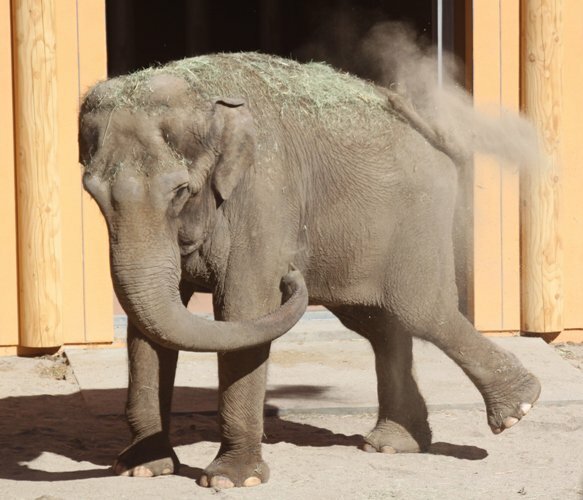 In November 2010, Tina and Jewel were sent to the Los Angeles Zoo on an open-ended loan as companion animals for their loan elephant male, Billy, and the new Elephants of Asia facility.